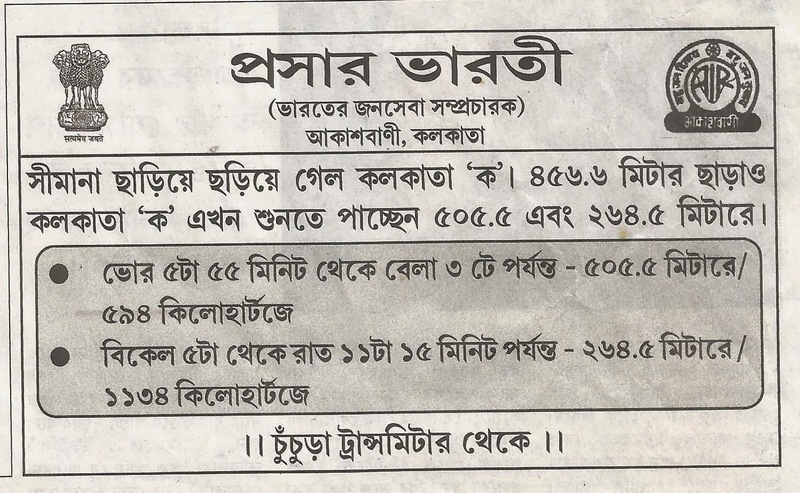 May be due to a report in Bengali daily 'Bartaman' on 1.2.2014, Prasar Bharati has published an advertisement in today's Bengali daily 'Ananda Bazar Patrika' regarding regular transmission of Kolkata A programme via its new 1000 kW Chinsurah transmitter. Kolkata A programme shall now be relayed from Chinsurah transmitter site in parallel to Amtala site. 1130-1745 UTC on 1134 kHz. Earlier, Chinsurah transmitter (actually at Mogra) site was testing with feed from various other Bengali programme like Kolkata A, AIR FM Gold, DTH etc. 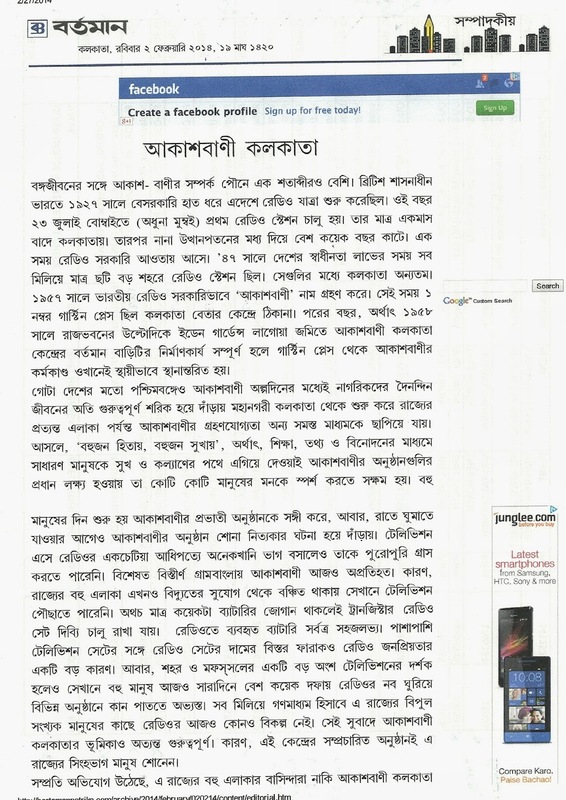 Here is the advertisement published in Bengali daily 'Anandabazar Patrika' on 7th March 2014. 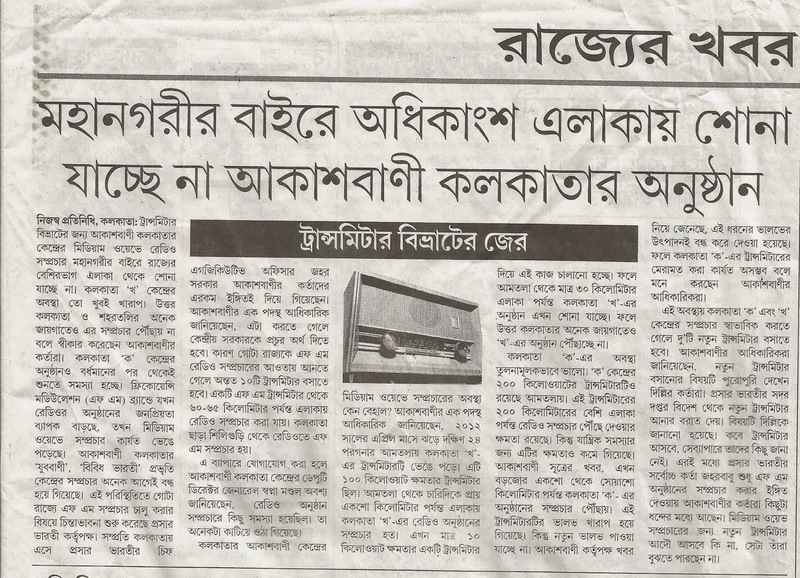 Here is the report which was published in Bengali daily 'Bartaman' on 1 February 2014.